What began our particular adventure was a single word. It was a word that was of importance to both of us, but for totally different reasons. That word was grange, and it started a quest that had more twists and turns than a medieval maze and which shows no sign of finishing any time soon. As our mutual research began Alan was spending more and more time in the United States working on television documentaries and doing research for his book Washington D.C--City of the Goddess. Alan believes that Washington D.C. is the most extraordinary deliberately planned city in the world. One of the observations that had caused him to look in great detail at the founding of Washington D.C. was the tremendous proliferation of “goddess” statues to be found within its civic heart and throughout its parks and intersections. Underpinning the “secular” stance of the founding government of the United States had been a particular reverence for a strong feminine component within the spiritual beliefs of at least a fair proportion of Washington D.C.’s designers. Because many of those who created Washington D.C. were Freemasons, and also because to those in the know there is a secret “goddess slant” to Freemasonry, it was not too surprising to see why all the goddess statues were present. Like Freemasonry, the Grange consists of a series of stages of initiation, which are known as degrees. Those who wish to become members of the Grange have to proceed, stage by stage, through the degrees in order to reach the top of the Grange ladder of initiation. Accompanying the degrees are specific costumes, role-playing, and carefully memorized dialogue. It is the nature of the degrees of Grange membership--available to both men and women--that sets the Grange apart from its Freemasonic origins. What is more, many of the presiding officers present during the conferring of Grange degrees are women who take on the names of different goddesses known in the ancient world to be goddesses of nature and agriculture. To the majority of those taking part across so many decades, all of the costumes, the play-acting, and the carefully learned lines must have been a fascinating departure from the humdrum lives of the subsistence farmer and his family. Grange meetings not only cemented communities together (probably for the first time in many isolated townships), but the Grange ultimately gave small farmers a “national” voice. The Grange brought people together on a regular basis and must have been a social godsend, especially to hard-pressed, isolated women. The feeling of warmth, inclusion, and quite inexplicable sense of calm that we both felt when we visited the oldest of the surviving Grange halls is difficult to describe. All the same, no matter how significant and important the Grange has been to its many members, it remains one of the greatest enigmas of developing society in the United States. This is primarily because throughout the whole of the degree rituals neither the name “Jesus” nor the title “Christ” is mentioned, despite the fact that the Grange has always considered itself to be a Christian institution. Farming communities have tended to be conservative in their outlook and have often been comprised of people from a strong, fundamentalist Christian background. It is incomprehensible that such people would have taken part in ceremonies that have an unabashed “pagan” feel to them. It turns out that the use of the word Grange for this unique experiment in agricultural cooperation was no coincidence. It was deliberately chosen by a group of people who have been steering the ship of humanity for a very long time. We call these people the “Venus families,” but they have appeared in very many forms and guises. They took control of western Europe in the eleventh century and were responsible for both the Cistercians and the Knights Templar. They set the scene for European settlement of North America in the twelfth century, and they left ample evidence of their presence and their alliances with the indigenous peoples. 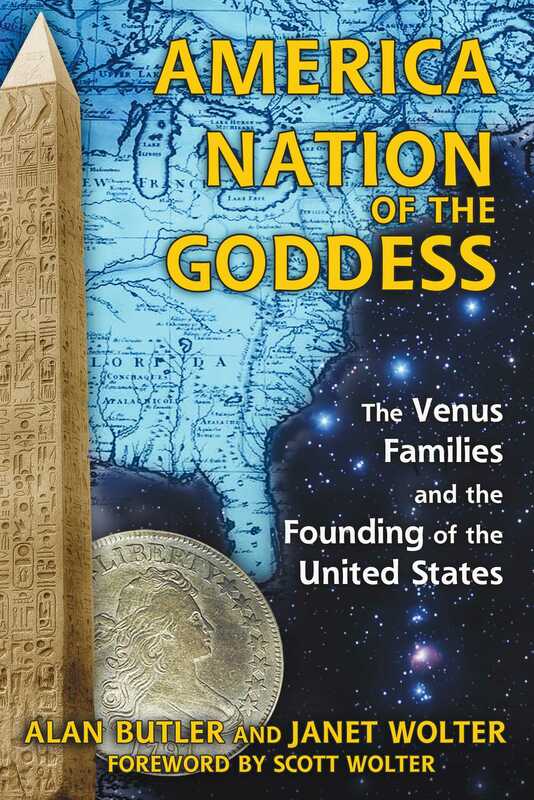 The dream of the Venus families was always the same: self-determination, equality, and fairness, a foundation laid with the cornerstone that was placed with great Freemasonic ceremony at the northeast corner of the Capitol in Washington D.C. They also believed vehemently in religious freedom, despite holding fast to personal beliefs that are older by far than any organized religion in the world today.